If you love cooking and grilling, then chances are high that you have attempted a few recipes you found online or from a friend only to be disappointed with the results. What happened? It could be a lot of things, however, the biggest issue that many people encounter is that they need to cook their stuff longer or find that their stuff is cooked a little too soon. Most people don’t realize that the cooking time on recipes is only a suggestion. This is because there are so many factors that play a role in how long it takes something to cook. From the type of grill to the type of meat, these small variations can make a big difference in how long it takes to cook. Here are four things that affect cooking time on a ceramic grill and how knowing these things can help you become a better grilling guru. When it comes to making sure that you properly cook your meat, you have probably already noticed that some types of meat take a little bit longer to cook than others. For example, it may take longer to cook a rotisserie chicken than a nice piece of salmon. Different cuts of the same meat can also have different cooking times. When trying to get an idea of how long to cook on your grill, it’s also important to take into consideration the thickness of the meat. Obviously, the thicker the meat, the longer it is going to take to fully cook. If you have several pieces of the same meat on the grill, try to give them a uniform cut if possible so that one piece isn’t undercooked and another piece isn’t overcooked. When you first start out cooking on a kamado or ceramic grill, getting the temperature just right can seem a bit tricky at first. However, with just a little practice, it’s easier than you think to get your grill set at the right temperature. And like an oven, once you get your temperature set, you usually have a recommended amount of time to cook your food. If you want to cook your food faster, then you may want to get your grill a little hotter. Has this ever happened to you? You open up your grill only to discover that your food is undercooked or not cooking as fast as you thought it should. What do you do? Chances are that your temperature isn’t high enough. 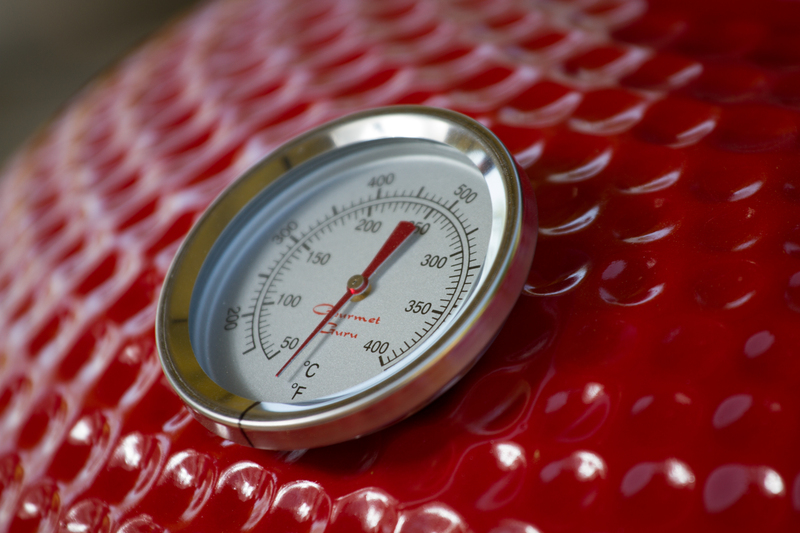 Adjusting your temperature on the Gourmet Guru Grill is really easy. Just use the flow draft door to control airflow and retain the right amount of heat for cooking. The Gourmet Guru Grill also comes with a cast iron adjustable vent top and a large screen stainless thermometer in order to help you get the temperature just right! When it comes to cooking, there are some things that are out of your control. The weather and level of humidity can play a big role in how long it takes to cook your next grilling masterpiece. If the weather is too cold, then it may take your grill a little longer than usual to heat up. And if it’s scorching hot outside, then it may not take as long as you had intended. Because of this, you need to be careful and check the cooking progress a little sooner than you would normally. If you are planning on a slow and low cook, then you really need to check on the humidity as it is also a factor in how long it takes to cook your food and the overall texture. If you live in a really dry area, then you definitely want to add in moisture during the slow and low grilling/smoking process in order to keep your food, especially meat, from becoming too dried out and having a weird texture. This is really easy to do. Simply add in a water pan inside the cooker. If you live a little bit closer to the clouds than most, then you may need to account for more time to cook. You see, air pressure is lower at higher altitudes, and it reduces the amount of oxygen available to get your fire going. If cooking at a higher altitude, it’s better to lower your overall cooking temperature. This may cause you a longer cook time, but it will help to retain moisture. 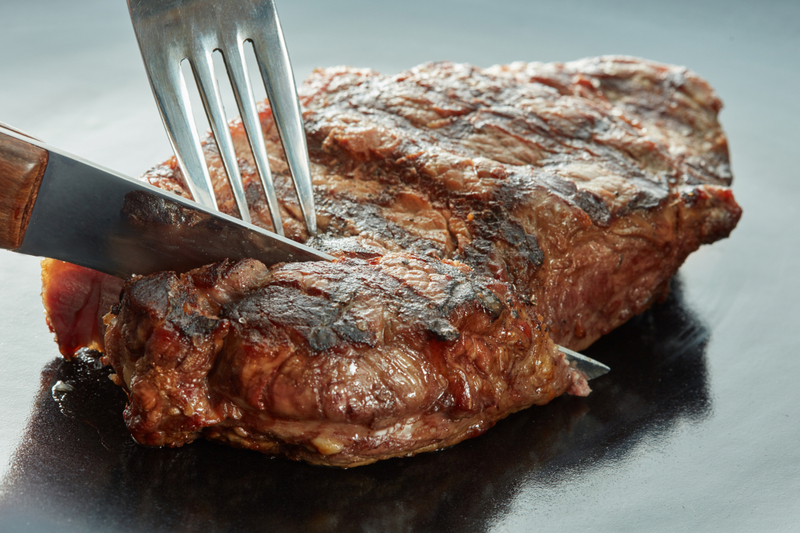 If you or someone you know is wanting to take their grilling game to the next level, then Gourmet Guru Grill has just what you need. 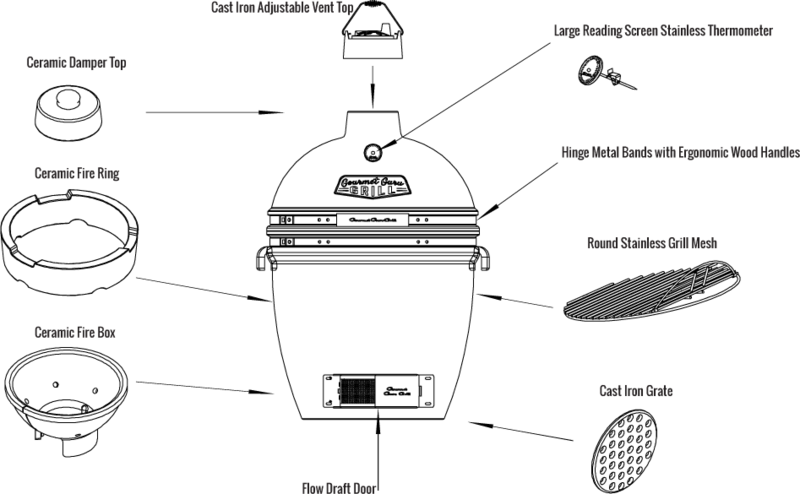 To get started, we have put together the perfect Gourmet Guru Grill Kit. It has everything you need to get started. The Guru Kit comes with the Original Guru Grill, Metal Cart Table, Plate Setter, and electric lighter. And if you have been using a Guru Grill for a while, then take a look at our accessories. The Plate Setter is great for those who want to experiment with indirect cooking and try their hand at making things like gourmet pizzas and even sweet treats like pies and cobblers. And if you need to add more room to your grill, then simply add in our Top Shelf Cooking Grate to add an additional 16 inches of cooking space. Get our grills, carts, and accessories online or use our WHERE TO BUY feature to find a Gourmet Guru Grill Dealer near you.